Before agriculture and the food system supersized everything from size and sugar content to shelf life and shippability, people turned to plentiful plants in the wild. Some see these not as superfoods, but as subsistence foods. Considering the robust vigor of native and naturalized plants, and their ability to thrive year after year with no human assistance – no matter what the weather does – that idea is skewed. Maybe part of today’s health issues come from a diet consisting of foods with such delicate constitutions that bringing the crops to harvest requires lots of coddling. Fragile food and fragile health may very well be connected. Not that I’m about to give up coddling the tomatoes in my northern garden! It just seems to me that the very benefits people seek from super fruits and super vegetables are constitutional… they’re the phytochemicals that give a plant natural resistance to pests and disease. Not to mention the greater concentrations of nutrients they have over hybridized vegetables, which makes them more like supersistence fare. Whether they’re indigenous to your location or have just naturalized there, growing wild greens as an organic crop will be easier than other alternatives, giving you hyper local, seasonal superfoods and a sustainable harvest. (Viola sororia, Violaceae) benefits: Who knew that this old-fashioned spring edible was a super green? Rich in cholesterol-fighting soluble fiber, vitamins A and C, and rutin. Of course, the flowers are edible too, and once used as candy flavoring. Use the tasty young leaves steamed, sauteed, or fresh. The second harvest of greens arrives with fall’s fresh growth. (Plantago major) benefits: Indigenous to Europe and Asia, plantain grows wild worldwide. Some would call that invasive, but it looks like a blessing in disguise given it’s the most nutritional edible green on the planet. The young leaves taste much like spinach offer a long list of nutritional benefits from vitamins and minerals to fiber and antioxidants. (Nasturtium officinale) benefits: A long-standing culinary green in the UK, wild watercress has become naturalized along water in many parts of the world. Being high in antioxidants and polyphenols, sulforaphane, and phenanthryl isothiocyanates catapult it to the most important superfoods list. 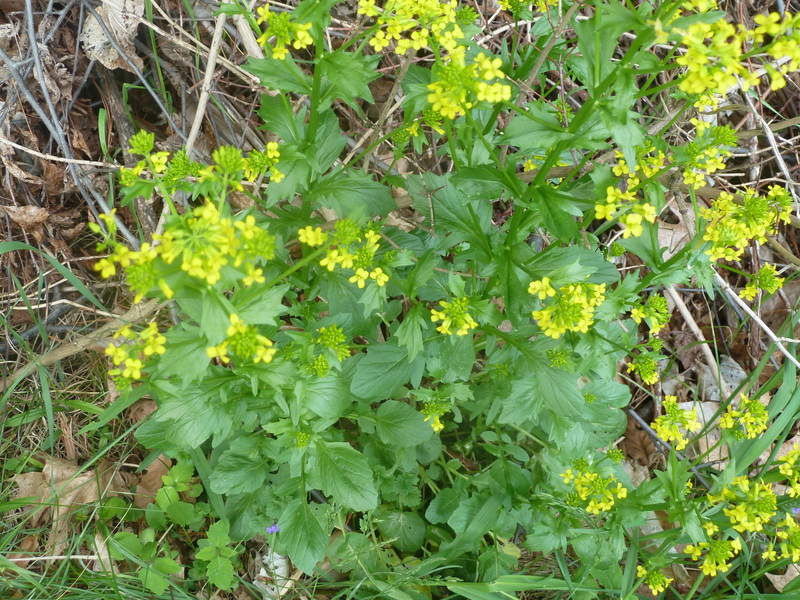 Recent research found that this tasty wild plant offers multiple anti-cancer benefits. (Sanguisorba genus; Salad Burnet, Greater Burnet) benefits: This relative of the rose transcends superfoods and heads into super plants with its nutritional, herbal, and medicinal benefits. Burnet’s lovely leaves add delicious notes of melon and cucumber to foods and drinks, while its glycosides and antioxidants boost your body’s disease fighting abilities. The edible flowers are often used in oriental cuisine. (Claytonia perfoliata) benefits : Rich in vitamin C, beta carotene, and protein, this cool weather native green tastes a lot like spinach or tangy lettuces. Being heart healthy with omega-3 fatty acid puts it in the superfoods genre. Common in western North America, it has naturalized some areas east of the Mississippi River, and seed is available. (Chicorium intybus) benefits: It’s not just a coffee substitute, but another one of those wild superfoods with balanced vitamins and important micronutrient contents. The leaves offer healing benefits, just like the roots do. Eat the tender center leaves fresh in salads. (Malva sylvestris) benefits: Globally used in healing for centuries, young mallow leaves are rich in important antioxidants, vitamins A and C, calcium, iron, magnesium, potassium, and selenium. Mild tasting native greens are eaten raw or steamed, great for thickening soups. They offer a super healthy boost to green smoothies. Naturally, this isn’t an all-inclusive list. Discover the other Wild Edible Greens with super nutritional benefits. Images courtesy of Joshua Mayer, Dinesh Valke, Wilderness Arena, Blue Heron Herbary, and My Edible Backyard (respectively).